- To look into socio-economic and family condition of self-employed women. - To understand issues of self-employed womens work. - To understand changes in income levels of womens work. 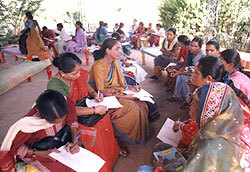 - To start organizing activities of SEWA amongst these women. - To look into the history of womens work.